"A Declaration of Grievances" was written by Margaret Morganroth Gullette and is excerpted from her book Ending Ageism, or How Not to Shoot Old People (2017 Rutgers University Press). It was designed by Carolyn Kerchof. 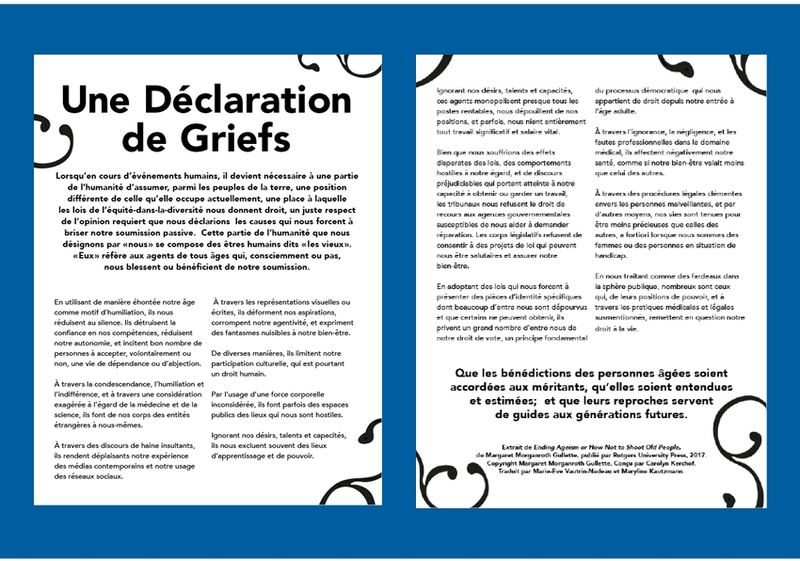 Feel free to download the PDF and hang the Declaration up in your home or place of work. Please share this link with other people you know who care about the rights of elders. Share on social media with the hashtag #MeTooAgainstAgeism.